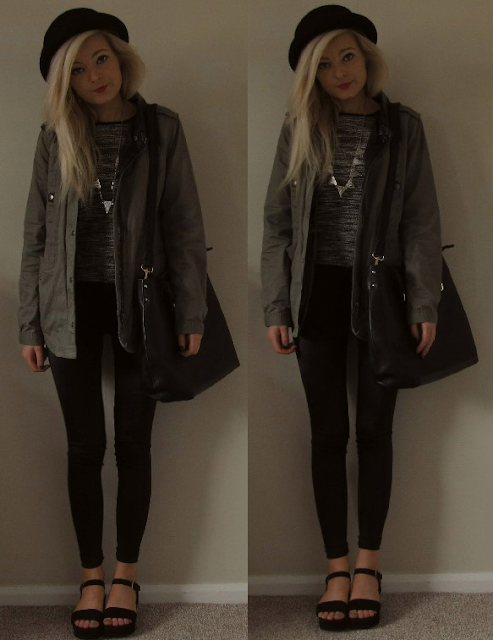 Topshop hat, Primark jacket, Topshop top, Ebay necklace, Primark discopants, Next flatforms, La Moda bag. It's been raining all morning where I live and so that for me is enough to wear a jacket and want to dress more warmer and not summery. It probably is so humid outside though to be honest. Oh wells. It was also thundering last night, but I don't mind thunder when I'm inside all snugged up. I have got some giveaways up my sleeve for you guys soon! One I can't do until payday though(3-2 weeks), and it's a thanks for anyone out there who reads my blog. And the other giveaway will be a t-shirt giveaway but I will explain more about that when I can. Dear you've got seriously a great sense of style, keep on! Thanks to follow me, now I'm following u too! When you have an athletic develop or even a normally skinny body with extended legs, you'll be able to under no circumstances go incorrect with any type of quick dress, sleeveless or spaghetti strapless party dresses are a great selection. Plus the Dress of Currently is simply that the exquisite strapless wedding ball robe. That includes a strapless neckline, this beautiful ball robe designed from satin within and tulle although the outdoors adorned with beading and sequins masking a lace up again. All you must do is study on to verify out the depth and a few true shoppers critiques on this wonderful Short Party Dresses. So great the style is. And I like this fahion chlthing.